Often it's those inexpensive small items that can be indispensable finishing touches. 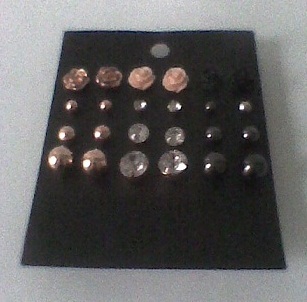 These are a few that will suit my new spring/summer pieces. 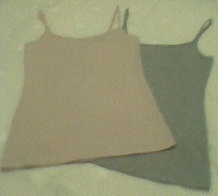 Vests sold in pairs of different colour combinations from M&S. I chose pale rose and pale grey. 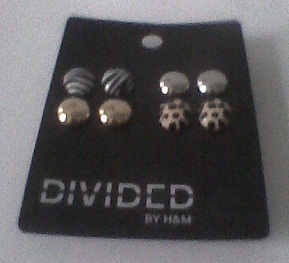 Selection of earrings from H&M Divided. Gold, silver and animal prints. 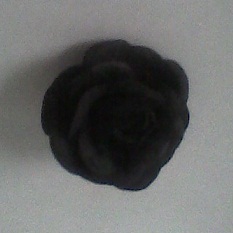 Black rose hairclip, sold in pairs from H&M. I bought this after looking at the camellia brooches in the Chanel boutique. I am planning to wear one as a brooch. 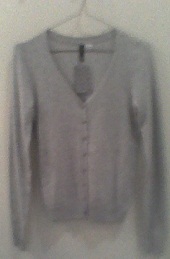 Pale grey cotton mix cardigan from H&M Divided.